If you’re planning to retire in the near future, it’s a good idea to take inventory of the debts you owe. Why start your next life chapter burdened with debt and interest payments? A high priority should be any loans you have taken from NYSLRS. You cannot pay off your loan after you retire. If you have an outstanding balance when you retire, it will permanently reduce your pension. 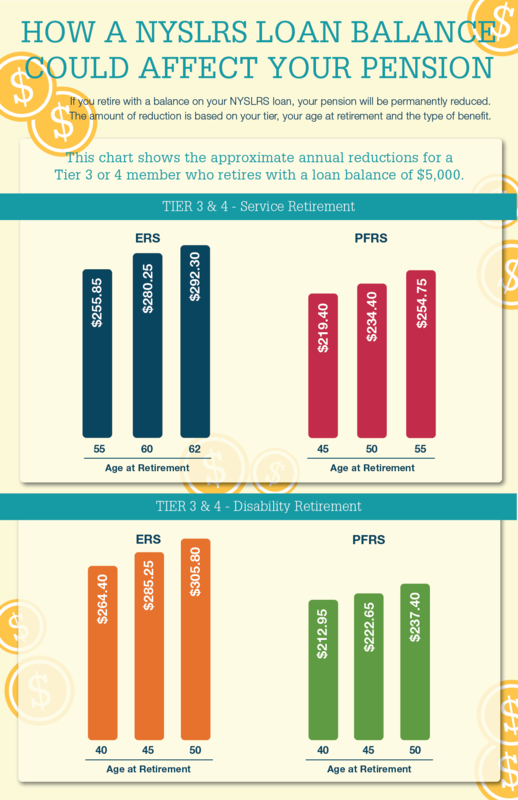 For example, if a 60-year-old Tier 3 or 4 member of the Employees’ Retirement System retires this year owing $10,000, the annual reduction would be $560.50. And that reduction would continue even if the total reduction exceeds the amount owed. What’s more, at least part of the balance would be subject to federal taxes. Learn more about paying of a NYSLRS loan. Another priority is paying off credit cards. The average American household with credit card debt owes more than $16,000 and pays about $1,300 a year in interest, according to a recent analysis of federal data. Fortunately, getting a handle on your credit card debt has gotten easier. A recent federal law requires credit card statements to carry a “Minimum Payment Warning.” This tells you how long it will take, and how much it will cost, to pay off your balance if you only make minimum payments. It also tells you how much you need to pay each month to pay off the balance in three years. If you have more than one credit card balance, most financial advisers recommend you pay as much as you can on the card with the highest interest. Pay at least the minimum, preferably more, on lower-interest cards until the high-interest card is paid off. But some advisers say it might be better to pay off the card with the smallest balance first. That will give you a sense of accomplishment, which could make the process seem less daunting. Mortgage balances make up two-thirds of the $12.6 trillion in U.S. household debt. But should you strive to pay off your mortgage before you retire? Financial advisers differ on that question, so do your research to consider all the factors. Read more about debt and retirement in our publication Straight Talk About Financial Planning For Your Retirement. Content last revised May 31, 2017. This entry was posted in General News, Members and tagged benefit reductions, credit card debt, ERS, household debt, Information is the Key, know your benefits, Loans, members, mortgage, NYSLRS, outstanding loan balance, permanent pension reduction, PFRS, Preparing to Retire, retirement, retirement age, retirement planning, Tier 3, Tier 4 on May 31, 2017 by NYSLRS. 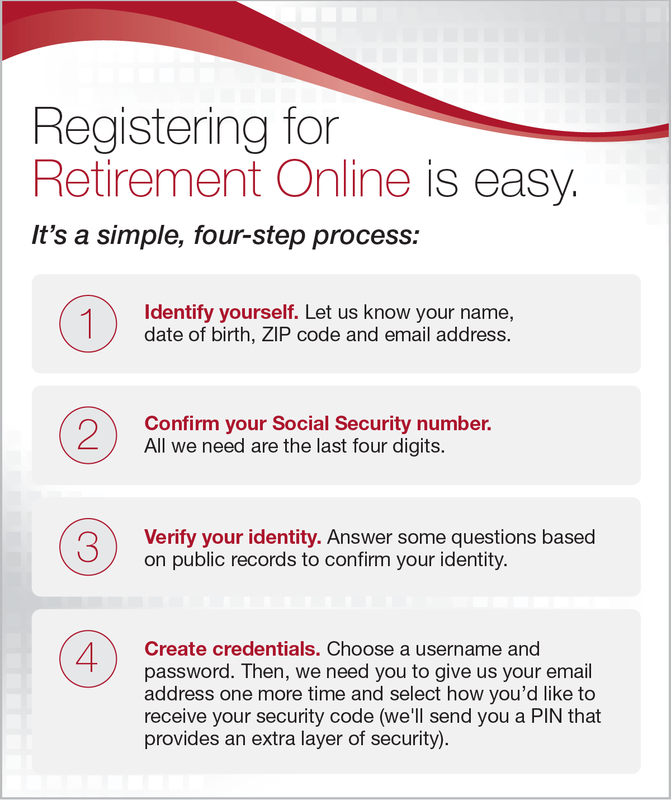 The new Retirement Online is now available. We are proud to announce this convenient way to review your retirement account details and conduct business with NYSLRS in real time. In many cases, you’ll be able to use Retirement Online instead of sending forms through the mail or calling NYSLRS. Registration is easy and secure. Retirement Online uses the same security safeguards used for online banking and other financial institutions. You’ll be asked a series of security questions while registering. The questions are provided by a trusted third party, and NYSLRS doesn’t store the questions or your answers. Update contact information. Moving? No problem. Change your address, phone number or email address at any time. Apply for a loan. You may be eligible to take out a loan against your NYSLRS contributions. Do it quickly and conveniently with Retirement Online. Generate a verification of income letter. Sometimes a business or government agency requires you to verify your pension income. Generate an official income verification letter any time you need one. The recommended web browser to use for Retirement Online is Internet Explorer, but you may also use Google Chrome. If your Retirement Online user ID and password was created before January 4, 2017, you will need to create a new account for the new Retirement Online. If you have any questions, please call our Contact Center at 1-866-805-0990 (or 518-474-7736 in the Albany, New York area). You may also email us using our secure contact form. Content last revised May 10, 2017. This entry was posted in General News, Members, Retirees and tagged applying for a loan, beneficiary, benefit information, change of address, contact information, ERS, income verification letter, information, Information is the Key, Loans, members, New York State & Local Retirement System, NYSLRS, NYSLRS Retirees, online, online account, PFRS, registration, retirement, Retirement Online, retirement planning on May 10, 2017 by NYSLRS. You’ve carefully planned your retirement, received your benefits estimate and are ready to take the big step. But before you can start receiving a pension, you’ll need to complete and submit your Application for Service Retirement (RS6037). You can also get a copy of the form from your employer or by contacting our Call Center. Be sure to list all of you public employment on the form. If you’ve ever been a member of another public retirement system in New York State, you’ll need to note that as well. Because your application is a legal document, you must sign it in the presence of a notary public. Many members make an appointment at a Consultation Site to file their applications. Our information representatives can notarize your application, help you with your paperwork and answer any questions. For more information, read our booklet “Life Changes: How to Prepare to Retire” or contact us. Content last revised May 3, 2017. This entry was posted in General News, Members and tagged benefits, ERS, know your benefits, members, New York State & Local Retirement System, NYSLRS, PFRS, Preparing to Retire, retirement, retirement application, retirement planning on May 3, 2017 by NYSLRS.